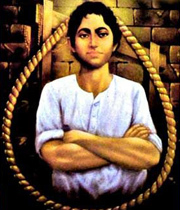 Khudiram Bose was born on December 3, 1889 in the small village named "Habibpur" situated under Keshpur Police Station in Midnapore district of Bengal. His father was a Tehsildar in the Nerajol. Khudiram was the fourth child in a family of three daughters. His parents, Trailokyanath Bose and Lakshmipriya Devi had two sons before the birth of Khudiram but both of them died prematurely. Following the traditional believes and customs, the new born child was symbolically sold to his eldest sister in exchange of three handful of food grains locally known as Khud, in an attempt to save him from dying at an early age. This way he acquired the name Khudiram. He lost his mother when he was six year old. His father died a year after. Aparupa Roy, his elder sister, brought him to her house at Hatgachha village under Daspur police station. Aparupa's husband, Amritalal Roy got him admitted to Tamluk's Hamilton High School. 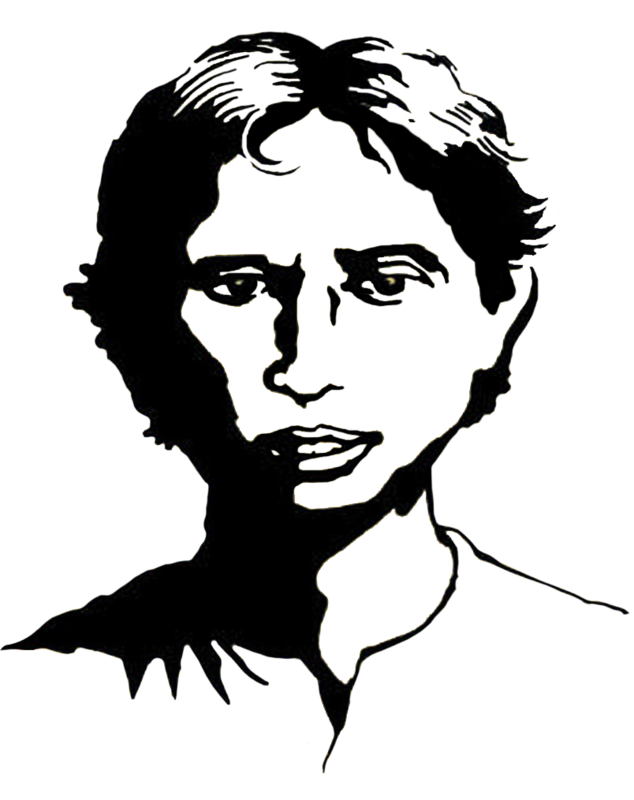 In 1902 and 1903, when Sri Aurobindo and Sister Nivedita respectively visited Medinipur and held a series of public lectures along with secret planning sessions with the revolutionary groups; Khudiram was among the teenage student community of the town which was fired up with a burning inspiration of revolution. Apparently he joined Anushilan Samiti, and came into contact with the network of Barindra Kumar Ghosh of Calcutta. He became a volunteer at the age of 15, and was arrested for distributing pamphlets against the British rule in India. At the young age of sixteen, Khudiram took part in planting bombs near police stations and targeted government officials.